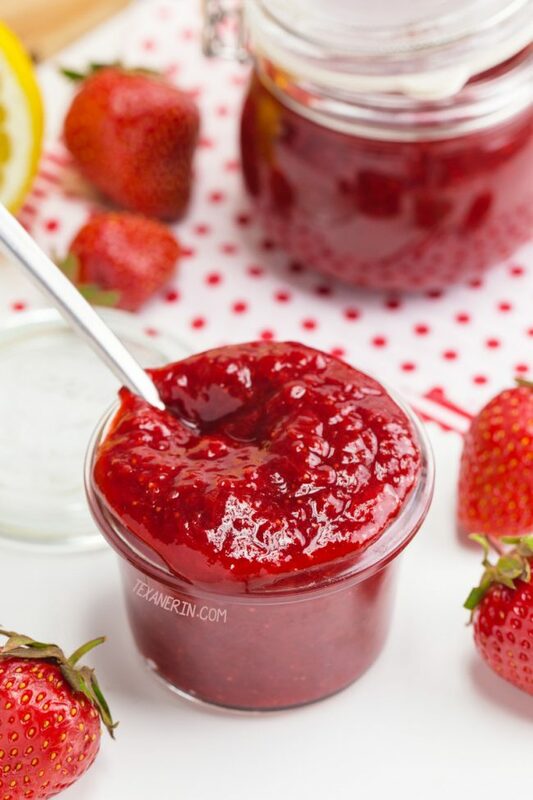 Wondering how to make strawberry jam? All you need to do is boil a few ingredients you probably already have! 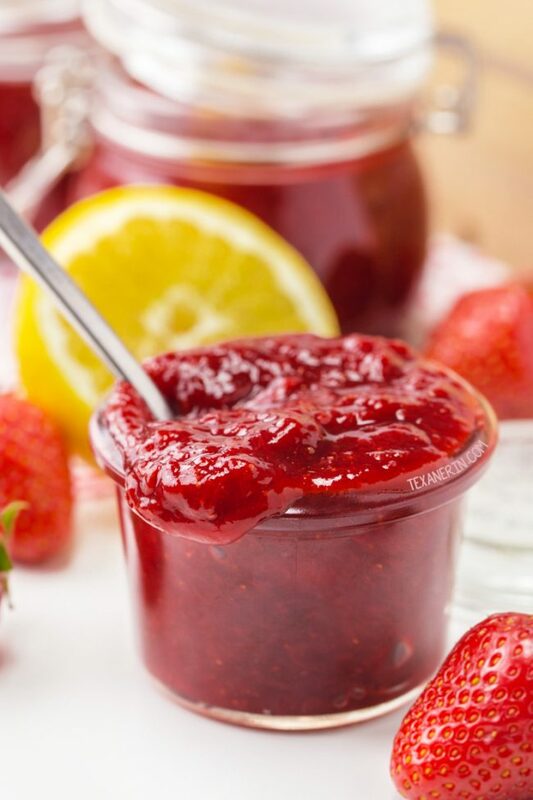 This easy, pectin-free and lower in sugar homemade strawberry jam can also be sweetened naturally and is paleo and vegan. With a how-to recipe video. 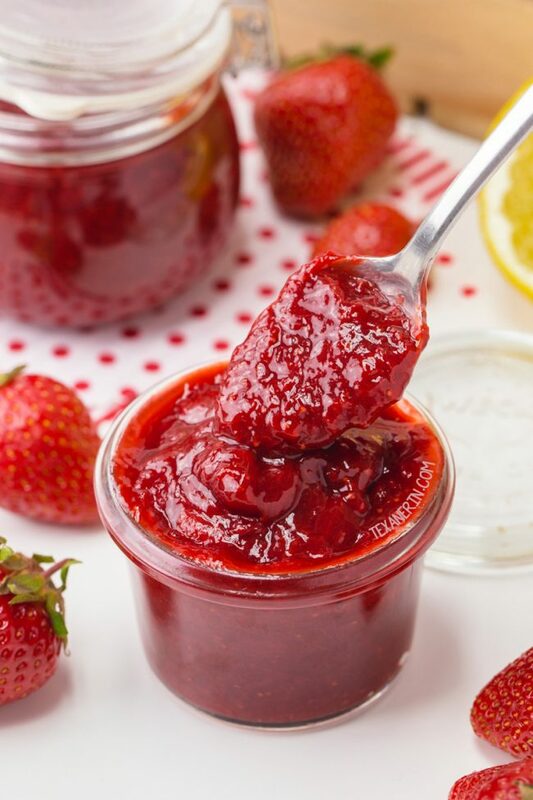 Every year after going strawberry picking, we come home and I immediately get started making this amazing strawberry jam recipe. It’s so simple and is a great way to use up a few pounds of strawberries. Not a fan of strawberries? Then try my honey-sweetened apricot jam! 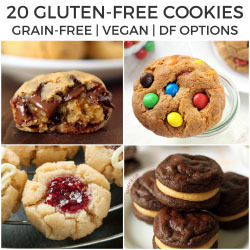 Everything I say in this post is valid for that recipe. Meaning you can also make it with maple syrup, it’s pectin-free, etc. You can also use other types of berries or stone fruit but you’ll almost definitely have to increase the sweetener – especially for fruit that’s not too sweet, like raspberries or apricots. Unlike most of the other strawberry jam recipes I’ve seen, this one doesn’t have an absurd amount of sugar. It’s really very little! But keep in mind that if you don’t use sweet and flavorful strawberries, your jam isn’t going to be very good. I’ve tried this recipe with frozen strawberries, which were lacking in both taste and sweetness, and the result was almost bitter. For two pounds of strawberries, there’s only 1/4 cup of sweetener called for so you need to use naturally sweet strawberries or add more sweetener. Other recipes use 2 pounds of strawberries and up to FOUR cups of granulated sugar! 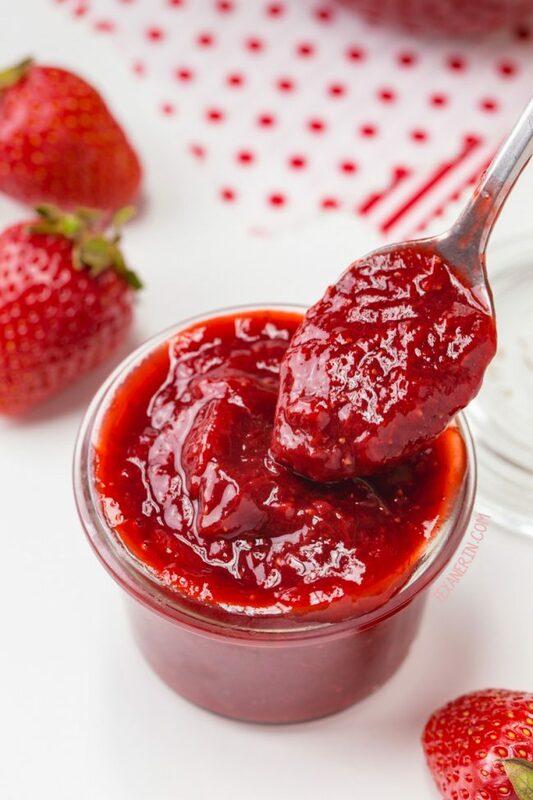 If you’re worried that this homemade strawberry jam won’t taste as good as a granulated sugar-sweetened recipe (you can also use granulated sugar in this recipe, if you prefer!) – don’t be! When you mix everything together, you can taste the honey or maple. After a few minutes of boiling, all you can taste is strawberries with a lemony zing. And don’t leave out the lemon juice! It’s necessary due to the lack of pectin. Or at least that’s what I’ve read. Whatever I don’t eat after about a week, I freeze in 1/4 or 1/2 cup portions and use in recipes like these strawberry white chocolate cheesecake bars and strawberry oat bars. This baked strawberry French toast also looks tasty! Questions about how to make strawberry jam? Can I use another type of sweetener? I don’t think the slightly caramel-like taste of coconut sugar would blend so nicely with the strawberries and lemon. Brown rice syrup (for a non-paleo version) would be great. I think dates or date syrup would be odd. And I unfortunately have no clue when it comes to low-carb sweeteners. Can I use another type of juice / zest? I think any citrus juice + zest would be great! Can I use another type of fruit? Another type of berry or stone fruit should work just fine. But you’ll likely need to increase the amount of sweetener quite a bit, unless you’re using something that’s really sweet, like peaches. I actually have made spiced peach jam using this recipe, and still had to increase the honey to 1/3 cup. Can this homemade strawberry jam recipe be canned? I have to admit that I don’t know a thing about canning. Here’s a step-by-step guide on canning that might be of some help to you! I didn’t use sweet berries and now my jam isn’t sweet enough. Can I add more sweetener now? I haven’t actually tried this but I’m pretty sure it’d be ok.
Can I use frozen strawberries? Definitely! As long as they’re actually tasty + sweet. I make this all the time using berries I froze after berry picking. I’ve also made it using store-bought frozen strawberries (that weren’t any good to begin with) and it was awful. Place the strawberries in a large pot and crush with the bottom of a glass. Add the sweetener, lemon zest and lemon juice and heat over medium high. Boil, stirring every now and then, until the mixture thickens. With my really soft and juicy strawberries, this took about 45 minutes. It could take more or less time depending on your strawberries. To test, put some of the jam on a clean spoon and then put the spoon on a plate in the freezer. Let it sit in there for five minutes and then take it out. If the jam doesn’t fall easily off the spoon when you turn it to the side, it’s ready and you can take the pot off the heat. If it does pour off easily, continue cooking for another 5 minutes and try the test again. Let cool and then pour into jars and store in the fridge and for up 1 week. Freezes great. 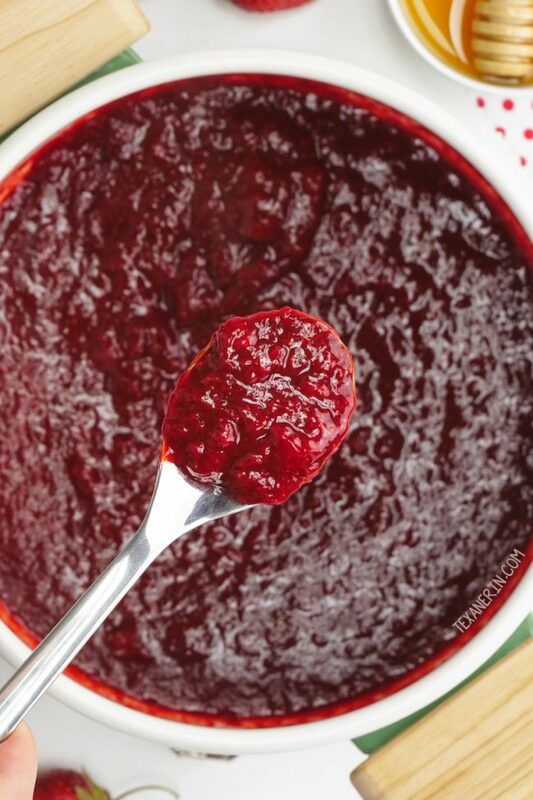 97 comments on “How to Make Strawberry Jam” — Add one! This year I will make my own jam! Hi! So happy you liked the jam. :) I’m also interested in trying chia seed jam but haven’t tried it yet and really don’t know much about it. But I found this article that I found interesting that’s all about chia jam. I think it’d be a better resource than I would be on this topic. ;) Thanks for your comment! Can you hot water bath and preserve this jam ? LOVE strawberry jam! Seeing lots of great strawberries at the farmer’s market here, I have to give this recipe a try. I love my berries whole in a jam, so I wonder if it’s okay not to crush the strawberries in this recipe. Thank you! Hi Zerrin! So sorry for just now seeing your comment. I crushed the strawberries to make the cooking process quicker. I’d recommend crushing at least half of them. :) Hope you’ll enjoy it! I love strawberry jam! Looks perfect! Hi Erin, I like your recipe, but it’d be nice to save some of the goodness of raw honey that is lost with cooking. Considering that honey doesn’t help with the thickening of the jam as sugar would, what about adding it last thing before it cools down? Would it still mix nicely? I believe it would keep more of its nutrients compared to cooking for 1h. Hi there! I don’t use raw honey when baking or cooking for that very reason. It would definitely keep more of its nutrients that way but as I haven’t tried it, I can’t say for sure that it’d work. I’m guessing it’d have a much stronger honey taste for one thing (but really, it’s just a guess!). Sorry I can’t give you a more definite answer. I can say that I’m very interested in trying it out for myself. :) If you try it first, I’d love to hear how it goes! well, I tried it. I simmered the strawberries a little longer to make a thicker texture and added the raw honey when the jam was about 37 degrees C (90 fahreheit). That is the body temperature that does not kill good bacteria and enzymes. The end result was a thick preserve with just the lightest hint of honey. I also reduced the amount of lemon as my florida strawberries were quite sweet. I’m totally happy with it, I used a fraction of honey compared to the sugar I would normally put in my preserve and it still tastes sweet. My husband loved it and all nephews that come over for the weekend enjoyed very much. That’s great! Thanks so much for letting me know how it turned out. I’m really surprised that there’s just a hint of honey! Those must have been some really flavorful strawberries. :) Thanks again! I am so sorry for just now seeing your comment! I found it in spam for some reason. I hope you found the answer in the post. :) “And don’t leave out the lemon juice! It’s necessary due to the lack of pectin. Or at least that’s what I’ve read.” It could work without the lemon but I haven’t tried it so I can’t say for sure. Sorry about that! Love it! I had to adjust the amount of lemon because our British winter strawberries are a bit sour! Thanks so much! I never knew it would thicken so well with nothing added! Haha. Same with our German winter strawberries! They’re pretty useless. :/ Thanks for your comment! Can this be processed for canning? Or placed in the freezer for use later? You can freeze it but I have no idea about canning. Sorry about that! Would this recipe work with other berries as well? Such as raspberries, blueberries, blackberries, etc. Looking forward to giving this recipe a try – this will be my first ever attempt at making jam. 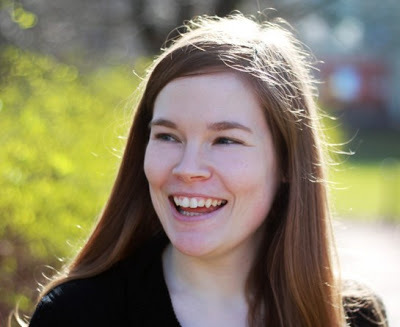 Hi Erin, I wonder if I could use frozen strawberries? When its not strawberry season I tend to use frozen. Hi there! Frozen will work fine as long as the berries are actually sweet. 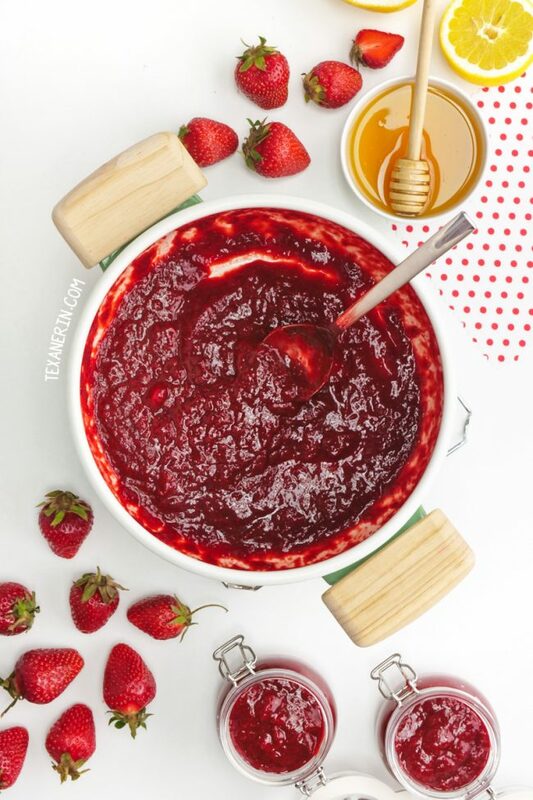 If your frozen strawberries are anything like mine (which aren’t sweet or really even flavorful), you may need to add more honey!